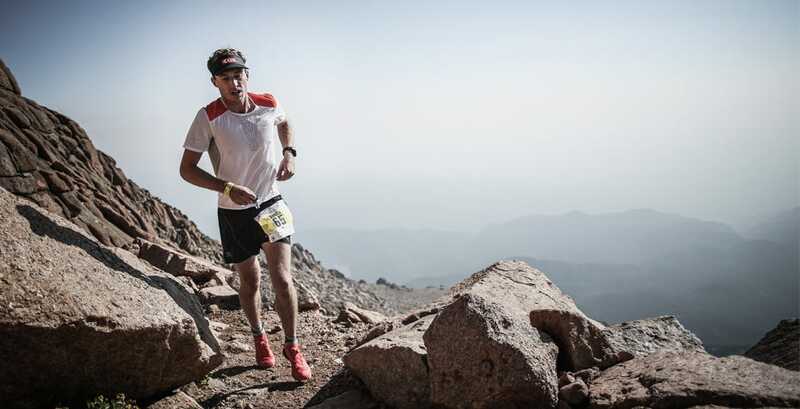 The Pikes Peak Marathon, the fourth stop on the Golden Trail Series, may have featured another world-class field of trail runners from around the globe, but on Sunday it was a couple of Colorado locals who owned the day. Dakota Jones and Megan Kimmel, both residents of the state that straddles the Rocky Mountains, relied on their high-altitude conditioning on a morning that was perfect for racing to the top of 14,115-foot (4,302-meter) Pikes Peak and back down to Manitou Springs. Kimmel (Team Salomon) set a new women’s course record, winning in 4:15:04 to break the mark that had stood since 1981 by 14 seconds.